Microsoft Edge is the company’s attempt to make up for the misgivings of Internet Explorer 7 Most Common Internet Explorer Issues (And Easy Ways to Fix Them) 7 Most Common Internet Explorer Issues (And Easy Ways to Fix Them) Here are some of the most common problems you may encounter with IE and quick and easy solutions for fixing them. Read More (IE). While the latter browser was boring, slow to receive updates, and lacked extensions, Edge reverses all three of these issues. It’s regularly updated just like Chrome, features a decent extension library, and holds a few slick features not seen in other browsers. But few people actually use Edge. Why? Since it’s not cross-platform or available on mobile 5 Simple Ways to Choose the Best Mobile Browser for You 5 Simple Ways to Choose the Best Mobile Browser for You Choosing a browser for your mobile device, whether Android or iOS -- which one do you choose? If your head spins from the variety of mobile browser options, then ask yourself these five questions. Read More , it’s not a good choice for those who switch between Windows and Mac, or browse on their smartphone often. The huge user base still on Windows 7 can’t access Edge, and some Windows 10 users don’t even know that Edge is different from IE. Let’s take a look at what Microsoft Edge is good for. Even if you don’t use it as your primary browser, you can still get some use out of it. Note that many of these features require you to have the Windows 10 Creators Update installed, which you can download now How to Get the Windows 10 Creators Update Now How to Get the Windows 10 Creators Update Now The Windows 10 Creators Update will roll out in April. Are you eager to try it? Or would you rather avoid it? We'll show you how to get Windows 10 1703 on your own schedule. Read More . 4K is the next step What's the Difference Between 4K and Ultra HD? What's the Difference Between 4K and Ultra HD? Thinking of buying a new TV or monitor but feeling lost with all of the terminology like 4K and Ultra HD? Here's everything you need to know about it. Read More in the evolution of screen resolution. TVs and monitors that support 4K are dropping in price, and content providers are uploading more 4K videos. While you can watch 4K Netflix shows on your Xbox One S or PS4 Pro, the only desktop browser that supports 4K video on Netflix is Edge. Chrome, Firefox, and even the Netflix Windows 10 app don’t support 4K yet. You must have the Creator’s Update installed, have a new Intel Kaby Lake CPU Intel's Kaby Lake CPU: The Good, the Bad, and the Meh Intel's Kaby Lake CPU: The Good, the Bad, and the Meh Kaby Lake is Intel's next processor. How much does it improve on the Skylake processor? What are the drawbacks and limitations? Here are four things you should know about it. Read More in your computer, and obviously use a 4K monitor to watch Netflix in 4K. In addition, the 4K-ready Netflix plan costs $12 per month instead of the standard $9 per month plan. And since 4K is a high-quality video, you’ll need a speedy internet connection (at least 25 Mbps) to avoid buffering. All these stipulations highlight why 4K isn’t mainstream just yet Why Buying A 4K TV Right Now Is A Waste Of Money Why Buying A 4K TV Right Now Is A Waste Of Money With an obvious price difference between the new generation of 4K TVs, and older Full HD models - do you really need 4K? We think not, and here's why. Read More . But as technology evolves and costs lower, it will become the standard. How many times have you shared a snapshot of a webpage with someone? Maybe you captured a funny Facebook comment, needed to send a picture of an issue to a website for support, or just wanted to draw on a page for fun. You could always use a screenshot tool and annotate the picture you grab, but Microsoft Edge can do it natively. Click the pen icon in the upper-right corner on any webpage to start. You’ll see a small toolbar pop up with a few drawing tools, like a pen, highlighter, and comment box. Use them to call out bits of the page, then you can save the file to a OneNote notebook The Only OneNote Guide You'll Ever Need The Only OneNote Guide You'll Ever Need OneNote is a powerful note-taking app. It's cross-platform and well integrated into Microsoft Office. Read this guide to become a OneNote pro! Read More or share it with an installed app. If you want to keep the drawing for your own purposes, you can send the marked-up version of a site to your Favorites or Reading List for later. Microsoft wants you to use Bing and Edge. While Bing isn’t terrible, it doesn’t have much of a share compared to Google. To change that, Microsoft introduced Bing Rewards. This awarded you credits for using Bing that you could then spend on gift cards or subscriptions. With the release of Edge, Microsoft expanded the program and renamed it Microsoft Rewards. Once you sign up (U.S. only), you’ll earn points in Microsoft Rewards for searching with Bing every day, completing small challenges, and purchasing items from the Windows Store Desktop vs. Windows Store Apps: Which Should You Download? Desktop vs. Windows Store Apps: Which Should You Download? On Windows 10 and 8.1, you can either download and install a Desktop applications from the web, or you can get an app from the Windows Store. We explore the differences between Desktop and Store... Read More or Xbox Store. The other major way to earn points is actively using Edge. For every hour of normal use, you’ll get five points, up to a total of 150 per month. At the time of writing, a $5 Amazon gift card costs 5,250 points. So while you’re not going to make bank doing this 5 Myths About Making Money Online That You Should Never Believe 5 Myths About Making Money Online That You Should Never Believe It's the ultimate dream: make tons of money from your living room, working according to your own schedule, with no one telling you what to do. Sounds great, doesn't it? Read More , it’s a little reward for going about your normal day with Edge. You might already have a preferred platform for ebooks. Kindle and Nook devices Nook vs. Kindle: Which Ebook Reader Is Best for You? Nook vs. Kindle: Which Ebook Reader Is Best for You? Here's everything you need to know to decide whether to buy an Amazon Kindle or Barnes & Noble Nook ebook reader. Read More are great dedicated readers, while Apple’s iBooks and Google’s Play Books work on any of their respective mobile devices. But if you aren’t in any of those ecosystems, you should take a look at Microsoft Edge’s new ebook store and reading-out-loud (i.e. text-to-speech) features. Open Edge and click the three-line Hub menu (to the left of the annotation pen). On the resulting menu, click the Books icon that shows three books next to each other. You probably won’t have any books yet, so hit the Get books button to open the Store app to the books section. Take a browse for anything that catches your eye, and purchase the book to add it to your library. Or check out the best sites for getting free ebooks. Then, head back to the Books tab of the Hub in Edge. Click a book to open it in your browser, then look for the Read aloud button in the top-right to start narration. You can use the controls in that same corner to pause, skip back or ahead, or adjust the audio options. While it might not be your favorite ebook platform, this makes using a book for research while also working in other tabs easier to manage. Microsoft claims that Edge is safer than Chrome or Firefox, which is debatable and only based on its list of unsafe website. However, the other claim that Edge is better for a laptop’s battery life than Chrome or Firefox is certainly true. Chrome is a big RAM hog Why Is Google Chrome Using So Much RAM? Here's How to Fix It Why Is Google Chrome Using So Much RAM? Here's How to Fix It Why does Google Chrome use so much RAM, especially compared to other browsers? What can you do to keep it in check? Read More , and for the same reason that Mac users should stick to Safari Safari vs. Chrome for Mac: 10 Reasons You Shouldn’t Use Chrome Safari vs. Chrome for Mac: 10 Reasons You Shouldn’t Use Chrome Chrome is, for many people, the first thing installed on a new Macbook. It makes sense: in its early days Chrome gained a reputation for being lightweight and fast. Read More for the best battery life, Windows 10 users who need to make a charge last longer should use Edge. 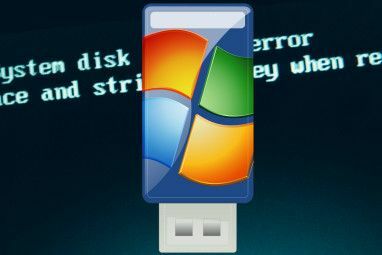 Of course, you should also check other important factors to make sure you’re optimizing your computer for the best battery life How to Optimize Windows 10 for Battery Life How to Optimize Windows 10 for Battery Life Battery life is a pretty important factor for mobile devices. 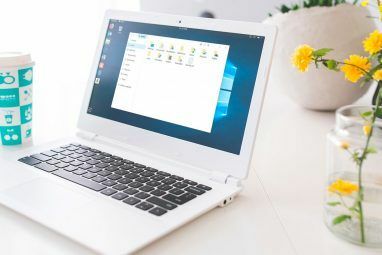 While Windows 10 does offer new features to manage power settings, the defaults are not necessarily contributing to optimal battery life. Time to change that. Read More . But if you know you won’t be near an outlet for an extended time, working in Edge is a smart idea. Tabs are a blessing, but they can quickly become a mess, too. Sometimes you have two dozen tabs open and get overwhelmed by them all, or want to stow some tabs later so you can open a fresh session. Edge has a feature to handle this; it’s called Set Aside. Just click the Set Aside icon (it looks like a window with an arrow, next to your leftmost tab) to set all open tabs aside and get a fresh Edge window. When you’re ready to revisit them, click the Set Aside Tabs icon to the far left and you can see everything you’ve set aside previously. Click Restore tabs to bring up that session again, or the X to remove them. This lets you resume your train of thought without having to bookmark tabs or open a new browser window. It’s pretty handy for multitaskers. Cortana’s been a part of Windows 10 since the start, but she’s recently made her way into Edge, too. This integration makes it easy for Cortana to bring you relevant information when you visit certain websites. For instance, if you open Pizza Hut’s website, Cortana appears in your address bar. Clicking her icon shows a side menu with the nearest Pizza Hut locations to you. On some shopping websites, Cortana might find coupons to save you money 10 Money-Saving Browser Extensions That You Should Install Now 10 Money-Saving Browser Extensions That You Should Install Now There are plenty of browser extensions that will compare prices, find coupons, and save you money. Install these 10 extensions now and watch the savings roll in! Read More . When you start watching a music video on YouTube, Cortana can show you the lyrics. And anytime you don’t know what a word means, you can highlight it, then right-click and choose Ask Cortana. This shows you definitions and more info about your search in the right sidebar without ever leaving the page. Not interested in any of the above features? You’ll love one of Edge’s biggest accomplishments: it’s been found as the fastest browser for downloading another browser. Whether you want to use Chrome, Firefox, or even give Opera a try, no browser gets it done faster than Edge. In fact, stringent technological tests have rated Edge as the absolute finest built-in Windows 10 browser for downloading another browser. You’ll be up and running in Chrome up to 50 percent faster by downloading it with Edge instead of Internet Explorer*. *We didn’t actually do tests on this, but we have compared the major browsers Which Browser Is Best? Edge vs. Chrome vs. Opera vs. Firefox Which Browser Is Best? Edge vs. Chrome vs. Opera vs. Firefox The browser you're using right now may not be the best one for you. The browser arena changes so frequently that your conclusions from comparisons made last year may be completely wrong this year. Read More if you’re interested. 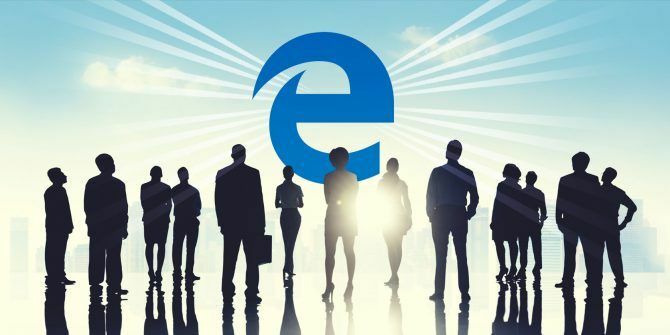 While it’s not the most impressive browser available, Edge is several steps above the many issues that plagued internet Explorer. Whether you use Edge as a backup browser, to earn some extra money using Microsoft Rewards, for its few unique features, or to save battery on your laptop, we think it’s worth using sometimes even if you don’t set it as your default 5 Reasons Why You Shouldn't Switch to Microsoft Edge Yet 5 Reasons Why You Shouldn't Switch to Microsoft Edge Yet Is Microsoft Edge worth using while Chrome, Firefox, and Opera are still around? Is Edge good enough to be your primary browser? Read More . Perhaps someday Edge will rise above the competition and become the new must-use browser. It’s not likely, but who knows? If you choose to use Microsoft Edge more often, make sure to upgrade it with the best extensions 10 Best Microsoft Edge Browser Extensions You Should Try Today 10 Best Microsoft Edge Browser Extensions You Should Try Today The latest Windows 10 Upgrade finally brings browser extensions to Microsoft Edge. We have examined the handful of extensions available and show you which ones are worth your time. Read More . What do you use Microsoft Edge for? Are you impressed with any of its features, or was your use limited to downloading another browser with it? Share your take on Edge in the comments! Explore more about: 4K, Battery Life, Ebooks, Microsoft Cortana, Microsoft Edge, Netflix, Tab Management, Windows 10. I am a windows insider, and with EdgeHTML 16, coming to customers with the fall creators update, the effective usage of CPU by the browser had changed making it hell lot Faster, than chrome, and of course, Firefox. So hang on, when it releases on 17 October 2017! I tried it once, and now I have almost completely shifted to it as my default browser owing to the speed, set aside and a few other features. cross platform is not much of a hog to me, but with the fall creators update, we can with much ease continue browsing by clicking the share button on chrome on mobile and have it instantly or at a later time open up on your PC, but the other way round is not yet here. Anyway, expecting edge to go much further, with the edge Dev conference on Sept. 13. And I was surprised to see it here. Edge is really fast, I use it on sights that don't run well on other browsers. Especially YouTube that sometimes has hiccups playing videos and the analytics page loads like 3X as fast in Edge. Quote: "In fact, stringent technological tests have rated Edge as the absolute finest built-in Windows 10 browser for downloading another browser. You’ll be up and running in Chrome up to 50 percent faster by downloading it with Edge instead of Internet Explorer*. Euh ... technological or technical ... apart from this incomprehensible choice of term, this whole article is pretty bizarre. It sort of damns Edge by the faintness of its praise. And as for the downloading other browsers bit (something that you and I don't do every year, or maybe every decade, eh?) - it reminds me of a quote from a UK mate of mine 40 years ago, re his home town. "The best thing about Stevenage is that there are lots of roads out of it". "Microsoft Edge is way better than Internet Explorer." That's like saying diphtheria is better than malaria. I've used Firefox since version 0.9 (recently switched to Cyberfox, then Waterfox when Cyberfox's developer called it quits), and nothing compares to Firefix with full-blow (not "web"/Chrome) extensions. Even with Edge's claims of "better battery life," extensions like Adblock Plus and NoScript make it safer, more powerful, and download less ad crap than any other browser. I use a variety of browsers, all for different jobs. Chrome for accessing google fleet of sites; Mozilla for downloads; Opera for surfing with no specific idea what I am looking for, and Edge for my research/youtube/streaming. I find that each does one little thing differently or better than the other, and spreading them over specific browsers helps to delineate what I am actually doing online at a particular time. I have to admit that I have been guilty of using edge to download the other browers - so thats quite a chuckle right there. But hey, that's me? Anyone else do the same thing?